that reads almost like a whoâ€™s who of Brum Beat. John Hustwayte (whose brother was in Pat Wayneâ€™s group The Deltas) and singer Colin Smith. who had left to join Jimmy Powell’s backing group. The Dominettes was at The California Pub near Weoley Castle. many R&B numbers into their set and this style of music suited Steve Gibbonsâ€™ gritty vocals perfectly. and were sometimes hired to back strippers at some of the more seedy establishments, they attracted quite a following. 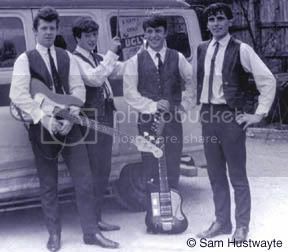 but by 1963 the group was re-named The Uglys. Eventually, the Uglys were able to secure a recording contract with the Pye Records company and the first release from the group in 1965 was an original song entitled Wake Up My Mind, composed by Burnet/Holden/Gibbons. The single was advanced for its time and featured some socially conscious lyrics -very unlike the kind of material produced by most other pop groups of the period. Surprisingly, the record did not sell well in Britain but was a big hit in the Australian charts. The Yamps (he had also spent some time with The Walker Brothers). who was becoming a major attraction on-stage to a growing following of female fans. – even though the group made an appearance on the popular television program “Ready Steady Go!” to promote it. including a great version of End Of The Season, a song composed by Ray Davies of the Kinks. 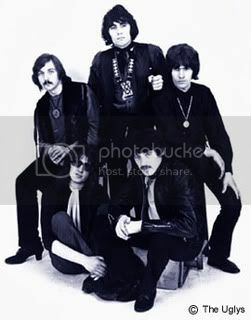 The Bobcats and released as their debut single in 1967. The Bobcats even got to perform the song on the popular children’s TV show Blue Peter. During this period, there were many personnel changes in the Uglys line-up which included the departure of Bob Burnett and John Hustwayte. Bass guitarist Dave Pegg joined for a year before leaving to join the Ian Campbell Group. He was replaced by Dave Morgan from a local band called Blaises and had also been a former member of Danny King’s Mayfair Set. to compose the song Something which ended up as the b-side of the Moveâ€™s chart-topping Blackberry Way single. 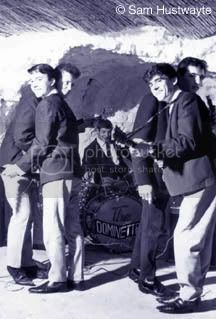 Jimmy O’Neil left the Uglys in 1968 to join The Mindbenders and founding member Jim Holden also departed later that year. who stayed in the Ugly’s line-up until the end. Jim Holden was replaced by drummer Keith Smart from Danny King’s Mayfair Set. Keith was previously involved with a group called The Lemon Tree and later joined Roy Woods Wizzard (see The Move). and eventually joined the Electric Light Orchestra. By the end of 1968, Steve Gibbons was the only remaining original member of The Uglys. This final line-up also included Will Hammond, Dave Morgan, Keith Smart, and Richard Tandy. They recorded a projected single I’ve Seen The Light which was unfortunately never released officially – a demo copy recently sold for £1,200 ! the Steve Gibbons Band by the early 1970s. as well as undertaking extensive touring in the USA. Steve Gibbons continues to be very active musically around Birmingham to this day. Brum Beat and Will Hammond for assistance in writing this bio. Back in the late 60s early 70s I was a barman in the ivy bush pub Hagley Road Birmingham, I was very friendly with a guy at the time who I’m sure went on to join the Steve Gibbons Band, I’m sure his close friend at the time was a Jim Cleary, can you give me a name, may have been Dave ??????? Thanks. The Steve Gibbons Band had two lead guitarist one of whom was Dave Carroll – perhaps this is who you are thinking of?